This oatmeal zucchini cookie is everything a mom could want. Make-ahead veggie cookies can be baked and frozen for an easy meal or snack any time of year. Make them with your kids to get them excited to try whole grains, fats, and zucchini. 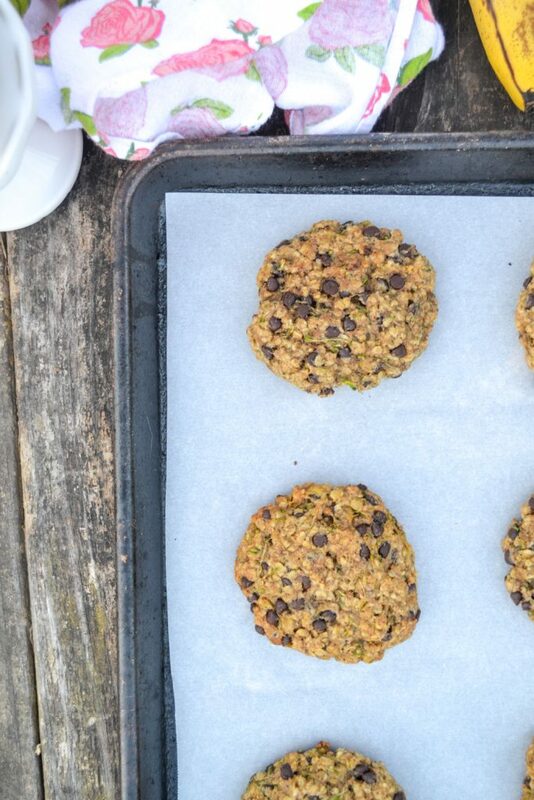 Vegetable cookies also have no refined sugar so you can leave the mom guilt behind. Okay, I admit it – I hate breakfast. I’m not a huge fan of early eating, but I also really hate making breakfast for my kids. Having to deal with grumpy kids who inherited my hatred for mornings is essentially my worst nightmare. Because of this, I really love morning meals that are as quick as humanly possible. Once the weather turns warmer, I make veggie smoothies like these easy spinach smoothies every single morning because there is nothing easier. 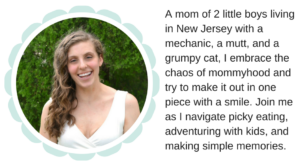 But some days, my kids want something a little more, and my mom guilt kicks in. I love having quick options on hand. Enter: make ahead breakfast cookie recipes. Okay, so you’re sitting there thinking, uh, Morgan, baking take some work, girl.. Which – totally true. That’s why I love making things like veggie cookies, cooling them down, and freezing them! Defrost them overnight on the counter or quickly for a few minutes in the oven and you’re good to go. Boom. I also do this with apple cinnamon pancakes, waffles, sweet potato muffins, banana cookies, oatmeal bites. Does baking with your kids give a panic attack? Here are my favorite tips for making this recipe with your kids – without turning your kitchen into a disaster zone. When measuring sticky items like nut butter or honey, spray your measuring cups with cooking spray. Ingredients will slide right out! To mash the banana, place it on a flat plate and let kids mash with a potato masher. I love the plastic plates from Target. They have a flat base and a .5 inch lip to keep everything contained. Use a spring-loaded scoop to portion cookies. You’ll need to reduce the cook time about 2 minutes if using the traditional smaller cookie scoop. Give kids a square of parchment paper to neatly press the cookies and avoid messy hands. If it starts to stick to the paper, just spray it down with cooking spray. If you think the kids will freak over the green zucchini, peel before grating! Yellow squash is also a great option. This recipe is awesome not only because it’s a fun option for kids. It’s also packed with whole grains, fats and hidden veggies. What else could a mom ask for when serving up a super simple breakfast? 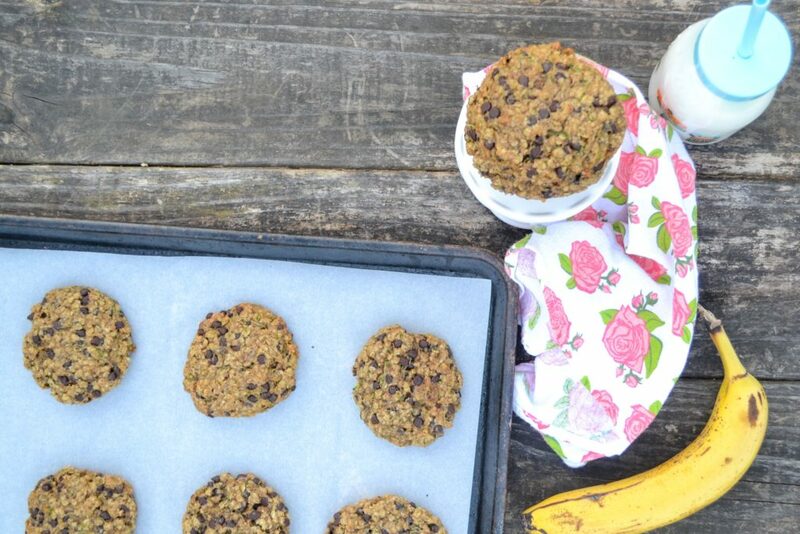 This simple, veggie cookie recipe is a great breakfast for kids. 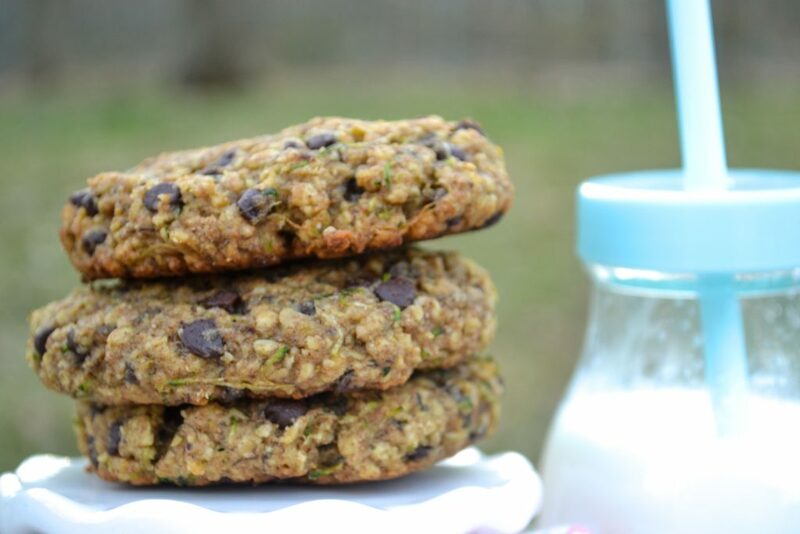 Packed full of veggies, whole grains, and fats, you won’t feel guilty giving your kids cookies for breakfast. This hidden veggie cookie recipe is everything a mom could want. Oatmeal Zucchini cookies can be baked and frozen for an easy meal or snack any time of year. Preheat oven to 350, measure all ingredients out. Mash banana and combine with wet ingredients. Scoop into 1/4 cup balls, press into flat disks, and bake for 8-10 minutes. Cool and enjoy! You can replace the nut butter with sunflower seed butter to make allergy friendly. Okay, so tell me – which meal do you hate most? Which do you like best? Let me know in the comments! 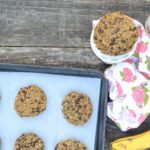 If you enjoyed this veggie cookie recipe, you’ll love these!